If Indonesia can address economic challenges such as the threat of inflation, it will be on track to become the 11th-largest economy in the world—and potentially the next Brazil. Until recently, most consumer product companies paid relatively little attention to Indonesia. Today, many consider it a must-win market. Why? As many emerging markets enter a period of slower growth, Indonesia may be reaching an inflection point. It’s not only attractive in its own right, but also may be critical to the global ambitions of many companies in search of the next wave of international growth. To help companies position themselves for success in Indonesia, Kantar Worldpanel and Bain & Company provide an in-depth look at market conditions as well as consumer attitudes and behavior in the country. We then highlight five golden rules that consumer product companies should follow to succeed in the archipelago nation. 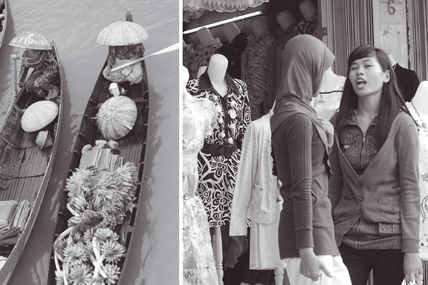 To understand Indonesian shoppers, Kantar Worldpanel and Bain & Company synthesized findings from a range of exclusive sources. This is including proprietary consumer insights, gleaned from 7,000 Indonesian households, developed by Kantar Worldpanel; and analysis from Bain extensive expert network and years of experience in Indonesia. This made it possible to identify critical shopper insights in five areas related to Indonesians’ willingness to pay for premium products, degree of loyalty, behavior across regions, shopping preferences, and attitudes toward social media. No consumer product company with global ambitions can afford to ignore the Indonesian opportunity, and Indonesian brands won’t survive unless they secure a sustainable leadership position in the market. While there are many paths to the winner’s circle, brands of all types—from new entrants to established leaders—have shown that the golden rules are critical to achieving and sustaining success in Indonesia.